Yes, you can have it all! You can enjoy a family holiday in luxury accommodation in beautiful nature with plenty to see and do. Staying on a holiday park doesn’t mean compromising on quality accommodation. Far from it in fact. 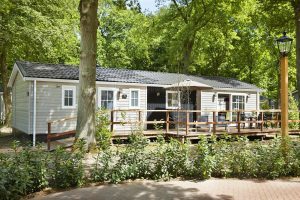 Our selection of holiday parks across Holland and Belgium all have a range of accommodation, from standard bungalows all the way up to luxury bungalows, villas and houses. 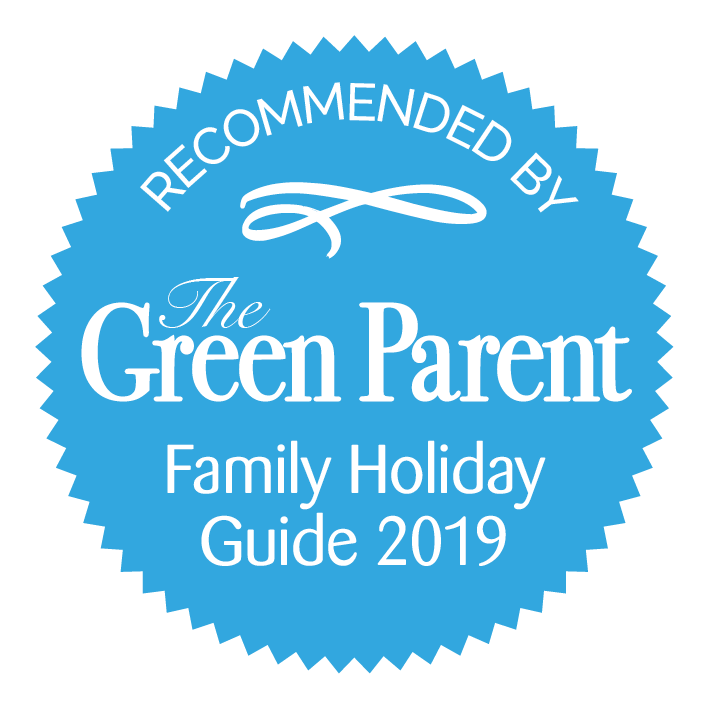 You can enjoy being out and about during the day, making use of the children’s pools, play areas and family friendly facilities and then return to high end accommodation for a good night’s sleep at the end of the day. 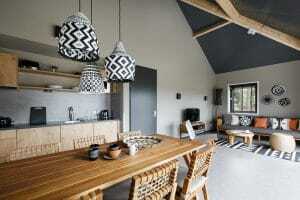 Hof van Saksen is a luxurious resort in the northern Drenthe region. Set in beautiful gardens with a huge amount of activities for young and old it is somewhere where you can quite easy stay put for the whole holiday. With children’s academies for all ages, a sandy lake beach, numerous play areas, a toddler pool and the largest indoor waterslide in the world it really does appeal to all ages. They have a range of thatched farmhouses to stay in, including an extra luxury wellness farmhouse. The 4 Person Luxury Wellness Farmhouse has 2 bedrooms and is a spacious farmhouse measuring 92m2. Set over 2 floors, it has flat screen tv in the lounge, free wifi, a fully equipped kitchen including dishwasher, microwave, Nespresso machine and juicer. The bathroom has a jacuzzi bath and there is also a sauna, plus a jacuzzi in the garden. The accommodation has children’s sized crockery, stair gate and plug safety covers. Towels and linen are included in the price. 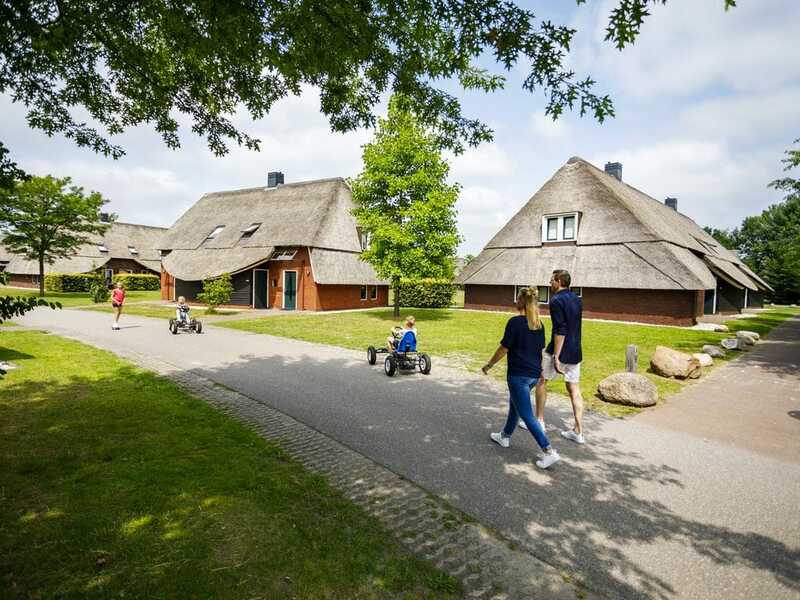 Beekse Bergen in southern Holland is a fantastic resort with a holiday park, safari park and recreational lake beach where you can spend all day at “Speelland” play zone. It is also just 20 minutes drive from Efteling fairytale theme park. 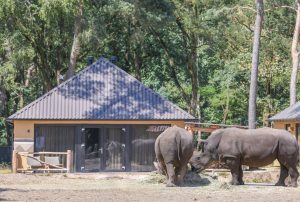 A holiday on Beekse Bergen was made all the more special and unique with the opening of the Safari Resort in 2018. 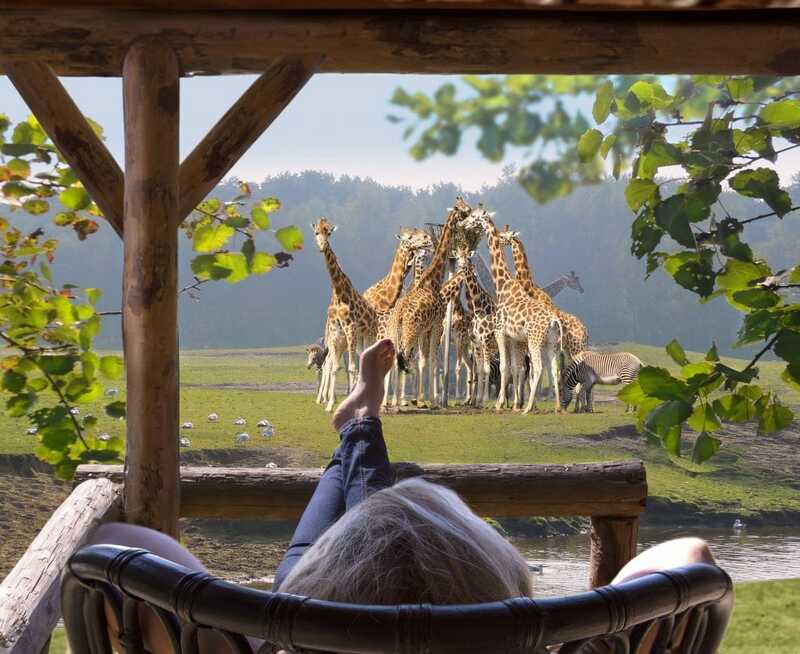 Now you don’t have to go all the way to Africa to stay in luxury safari lodges with direct views of the stunning animals! The Savannah Lodge Plus has 4 bedrooms, 2 bathrooms and a sauna! At 100m2 in size, this brand new accommodation is very spacious and has modern decor, all African themed. 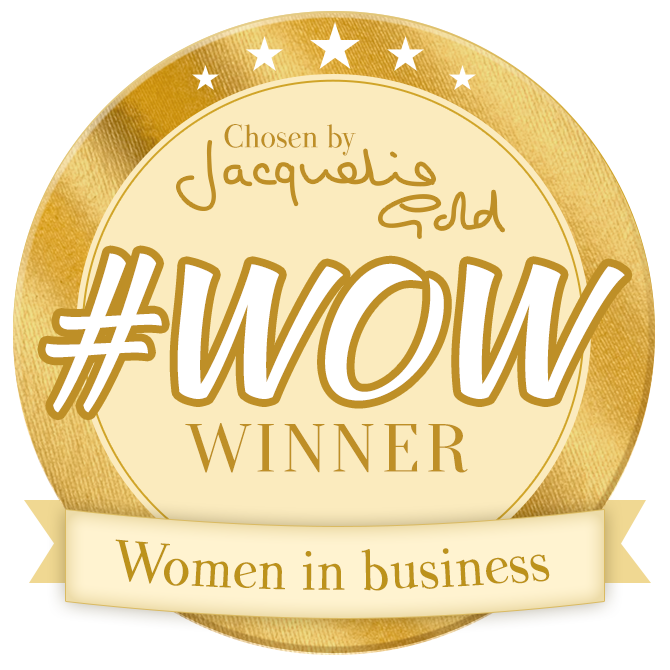 The fully equipped kitchen includes a dishwasher, microwave and Nespresso machine. Towels, linen, cot, play pen and wifi are all included. The safari resort has its own indoor pool and toddler splash area, restaurant and lounge bar plus children’s activities, entertainment and play area. You also have unlimited access to the facilities on the main holiday park and Speelland, plus free entry to a number of local attractions. 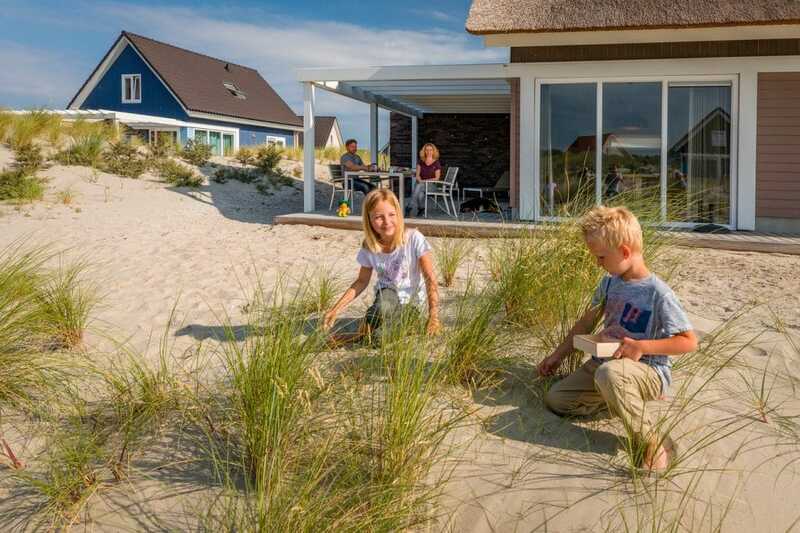 Landal Ouddorp Duin is a stunning and fairly new beach resort. 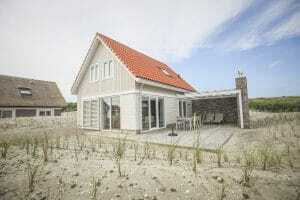 Located on one of the islands in South Holland it is surrounded by dunes and just a short walk to the beautiful beach. It’s a real back to nature dunes and beach holiday with a laid back vibe but plenty of activities for children. The indoor pool is really child friendly and toddlers will love the little slide. Indoor and outdoor play areas and organised children’s activities and entertainment means there is plenty to keep little ones busy! The holiday villas are well spaced out and there’s lots of room for playing in the sand and running between the dunes! The 4 Person Wellness Villa is on 2 levels (stair gates are provided) and has spacious rooms, a sauna, jacuzzi bath, free wifi and a spacious kitchen area with all the mod cons. Beds are all made up on arrival. 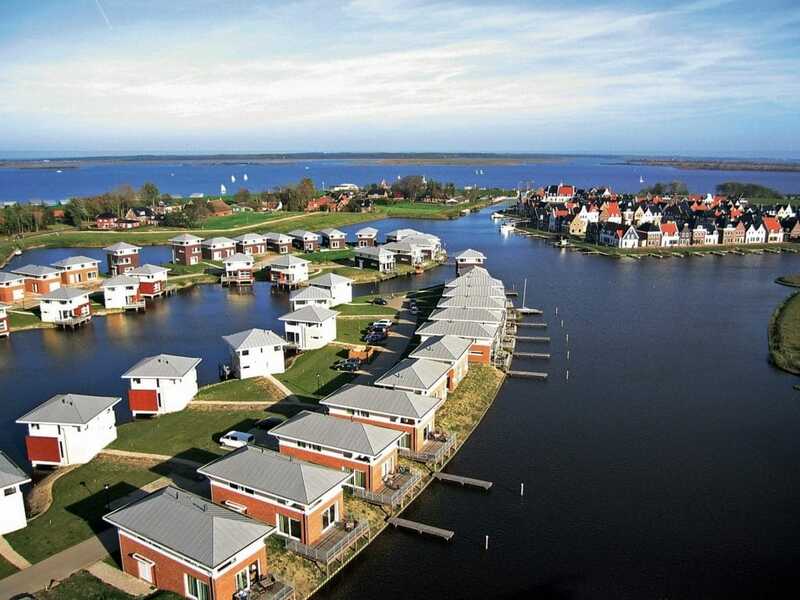 Landal Esonstad is located in Friesland, at the top of Holland and just over the water from the exclusive Wadden Islands. 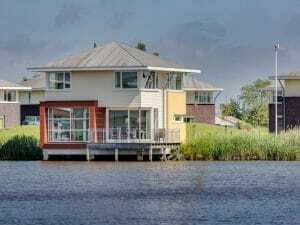 This is a beautiful part of the Netherlands, surrounded by water with some stunning beaches and lively towns within easy reach. Esonstad is a resort with indoor and outdoor play areas, children’s entertainment, an indoor pool and a sandy lake beach. 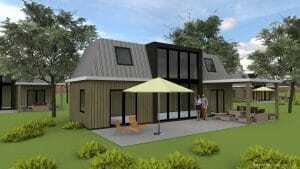 The accommodation is of the highest quality and is modelled on traditional Dutch houses. You can choose between being right on the water or in the main village centre. The 6 Person Residence is the most luxurious accommodation here. It is large (144m2), set over 2 floors and has 3 spacious bedrooms. It is right on the water with some lovely views and has its own separate “wellness” room. Stair gates are provided as well as plug safety covers. There is free wifi and beds are made up on arrival. 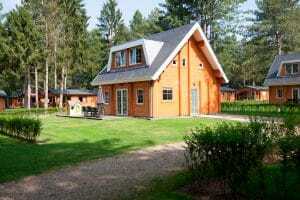 This is a gorgeous holiday park, close to a pretty town and on the edge of Belgium’s National Park, the Hoge Kempen, where you can explore the stunning nature along the barefoot path, visit the insect museum or go for a family cycle ride. Being just 7km from the Dutch border and a short drive from Maastricht you can make the most of what both Holland and Belgium have to offer. 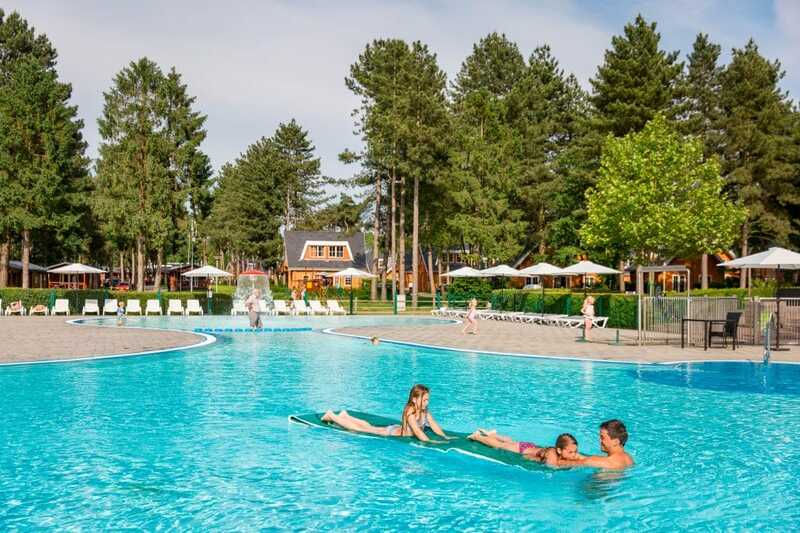 Mooi Zutendaal is a perfect holiday park for young children with indoor and outdoor pools and play areas and a calm setting. The accommodation is of an exceptionally high standard with large, grassy gardens to play and run about in! Some of the houses on Mooi Zutendaal are luxury villas designed by Dutch architect Jan des Bouvrie. The 4 Person Wellness Villa is the most luxurious one. Measuring 135m2 it is a large villa set over 2 floors with 2 spacious bedrooms, a separate “wellness room” and a jacuzzi in the garden. 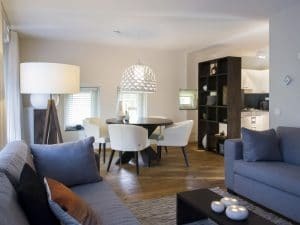 The open plan living area is decorated to a high standard and has a flat screen tv, Nespresso machine and dishwasher in the kitchen. 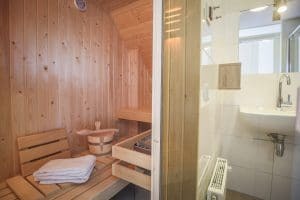 The bathroom has its own sauna and the accommodation benefits from under floor heating. Towels, sheets and bathrobes are included. Free wifi included. You can also stay in a Luxury Bungalow which are large (100m2) 3 bedroom detached wooden houses, set in spacious grassy gardens. They have modern amenities and even have a sauna and a “media wall”! Free wifi, linen and towels included. This is a park that ticks all the boxes. Location is great, being just 30 minutes from Amsterdam airport, 4km from the beach, over the road from the quaint village of Wassenaar and within easy reach of many fun, family days out. 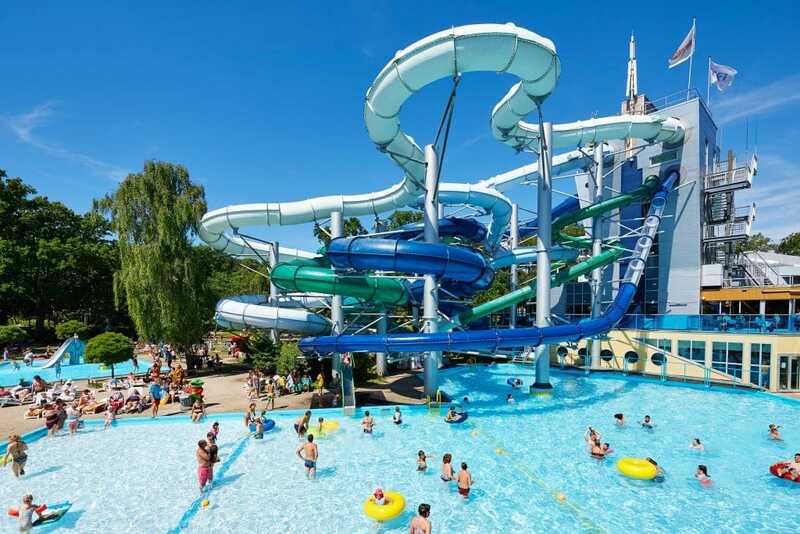 Duinrell has a very impressive indoor and outdoor pool complex with fast waterslides for older children and an area reserved for younger children with slides, water jets and exploratory toys. Duinrell is unique in that it also has an attraction park with rides for toddlers up to teens! There is a range of bungalow accommodation (Duingalows) including more spacious, premium units. This year they have also added Premium Plus Duingalows which are 100m2, are light and bright, are on two levels and have a sauna! These have already sold out for 2019. There is still some availability in the Premium Duingalows. Wifi and linen included. A week from 23rd August costs €1795 in a Premium Duingalow.